It is ‘Auf Wiedersehen’ for a couple of high-profile German online gambling sites. This is due to the German online gambling legislation that has been placing the nation into a tizzy. 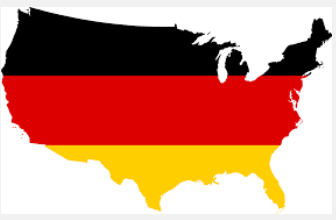 The laws pertaining online gambling in Germany have brought about confusion for some bearing in mind that individual country have tried to regulate the practise. On the other hand, the federal nation has online permitted online sports betting. A major group in this market has downed its tools; this will prompt several operators to do away with the German market from the beginning of February. This kind of decision might have been triggered by two rulings that were recently made. The European court of justice last June ruled that other parts of the country did not have to honour any rules regarding online gambling, just because Schleswig-Holstein had offered online gambling licenses to the operators in the country. The court ruled that it is possible to have two or more types of regulation on online gambling as long as the more restrictive rules still abide to the European Union regulations on online gambling restriction at the federal level. Earlier this month, there has been a ruling that frightened operators after Munich’s district court found a man guilty of illicit online gambling for online gambling. This anonymously held man has to settle a lot in fines for playing in an online gambling site and withdrawing hundreds of Euros in winnings. He is to repay $72,100 in winnings which were found in his house in a shoebox during a police raid and pay an additional fine of $2,400 after the court realizing that he had made a withdrawal worth $227,000 in winnings after playing online blackjack in 2011. This is quite a lesson to those playing in online gambling restricted zone! This case is the first on an individual in Germany who has been targeted for playing on an unlicensed online gambling site. This punter made attempts to argue that according to him he believed online gambling was legal according to the EU laws; but the judge pointed out that only online sports betting was legal in the country. From an email; a group of casino sites will be blocking new players from Germany from signing up on their sites from February 1st. Players will be permitted to play in free accounts but they will not be allowed to play for real money. Some of these casinos include; MansionCasino, LesAcasino, Casino.com, SlotsHeaven and Club777 Casino. The email pointed out that the closure will affect players in Germany but German-language players in other jurisdictions will not be affected by this decision. All these casinos affected by this ruling are operated by Playtech Software. This is a ruling that has been triggered by the regulation of online gambling in Germany. This has been a source of contention for players and operators in the jurisdiction for several years. Live-based casinos are the best online casinos, which permit you to directly interface with a real gambling world. In the live playtech casinos, players can interact with the live dealers and also with the other players through a real time web window. While playing live casino games such as live baccarat, live roulette you can also take gaming tips and ideas from your live dealer.